It’s no secret that dark chocolate and avocado are 2 very nutritious superfoods. Dark chocolate is full of antioxidants and may help lower blood pressure and risk of cardiovascular disease. Avocado contains about 20 different vitamins and minerals and is loaded with monounsaturated fat, the good fat that helps your cholesterol. So what happens when we join these two super healthy foods? A very happy marriage. We get dark chocolate avocado truffles, little bites of pure joy and that will have all your friends swooning. You won’t even be able to taste the avocado and still have the smooth texture without the heavy cream. 1. 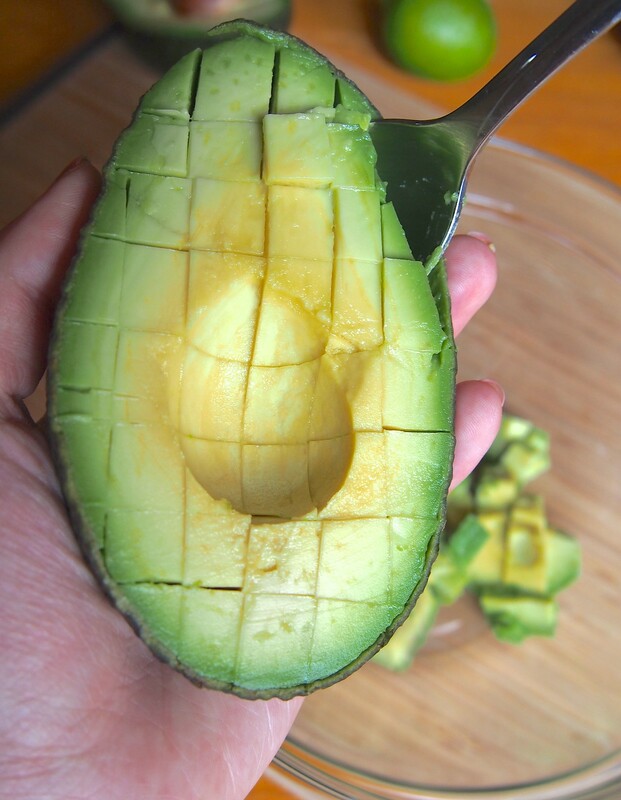 Cut avocado and scoop out flesh. Mash until there are no more chunks using a fork, electric hand mixer or food processor. 2. Take 1/2 cup of chocolate chips and roughly chop into small bits. Set aside. *NOTE: This step is optional. 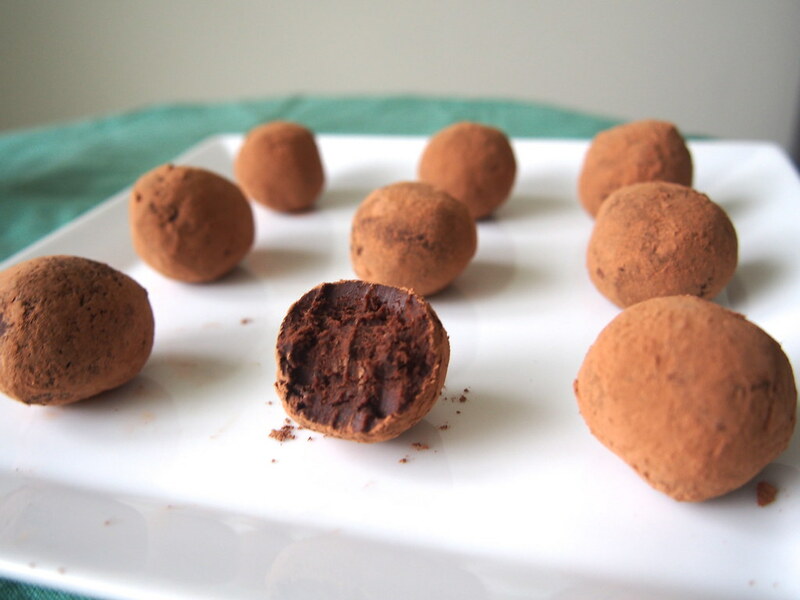 Adding chunks of chocolate will make the truffle crunchy to break up the smooth texture. If you prefer smooth and creamy, feel free to leave step #2 out! 3. 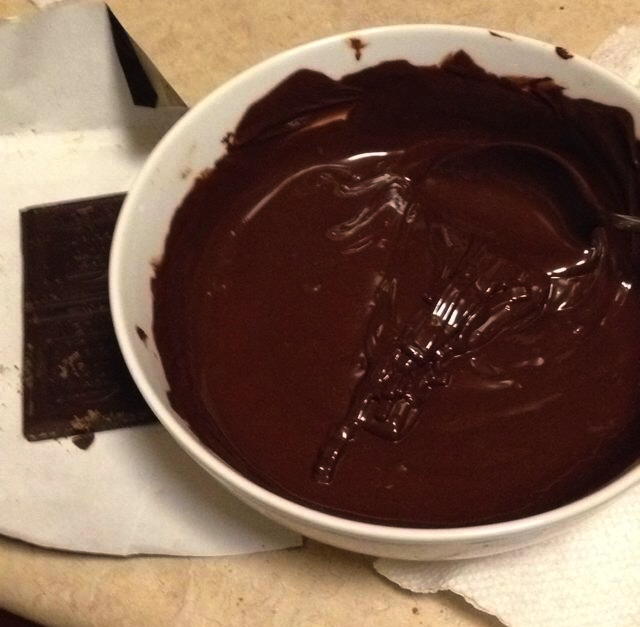 Melt the rest of the chocolate chips in a microwave safe bowl. The best way to do this without burning the chocolate is microwaving in 10 second intervals and then stirring, and repeat until completely melted. 4. 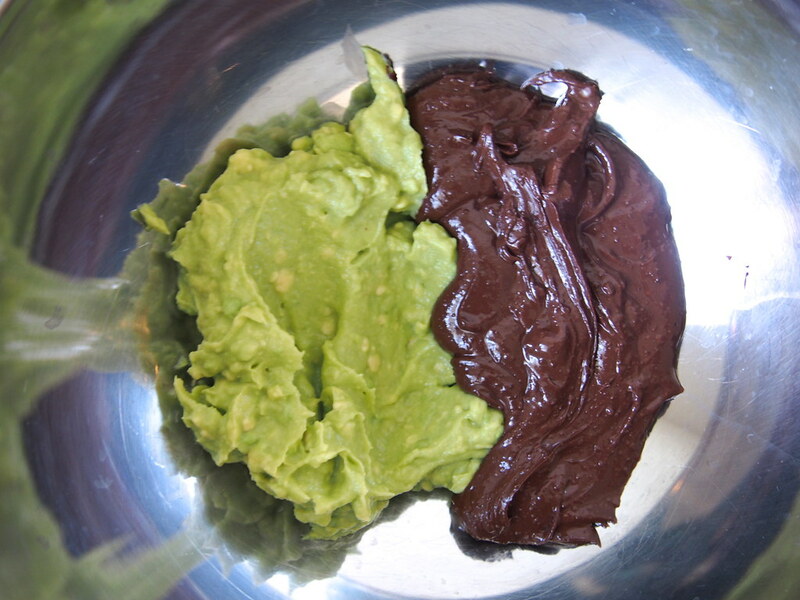 Scoop avocado mixture into the bowl with melted chocolate and mix until well-blended. Stir in the chocolate chip bits. 5. Refrigerate the chocolate-avocado mixture for an hour. 6. 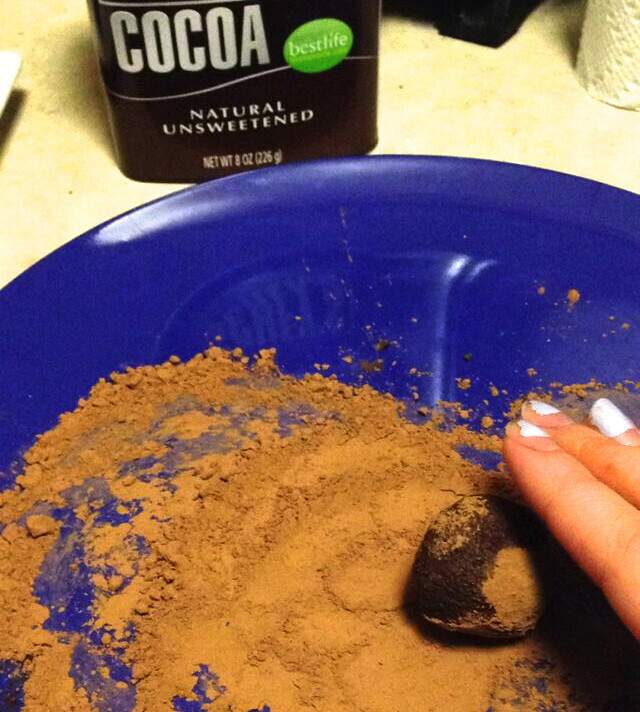 Scoop out 1 tablespoon of the mixture and roll into a ball using your palms. Repeat with the rest of the mixture. 7. 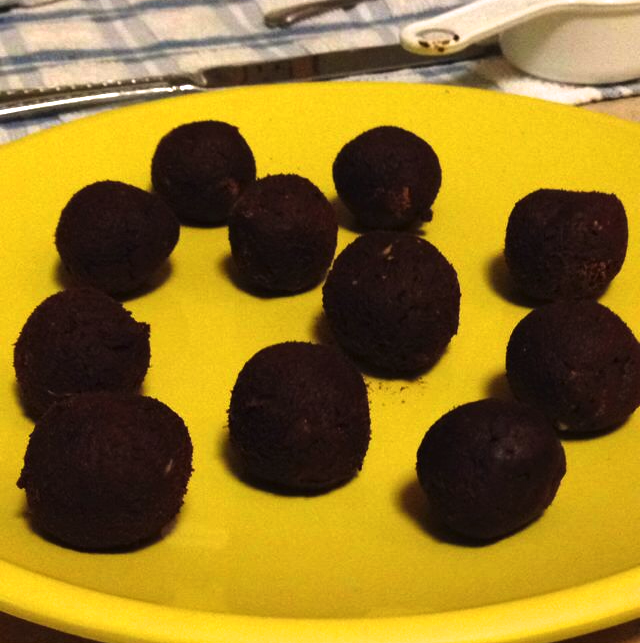 With the cocoa powder on a separate plate, roll the balls into the cocoa powder until completely covered.